Urban Tree Infrastructures Pvt Ltd ofers 3 BHK residential flat for sale in Thiruvanmiyur,Chennai developed with ample interiors. Indu housing offers 2 BHK Residential Apartments at Thiruvanmiyur with easy access to airports, hospitals, educational institutions etc. 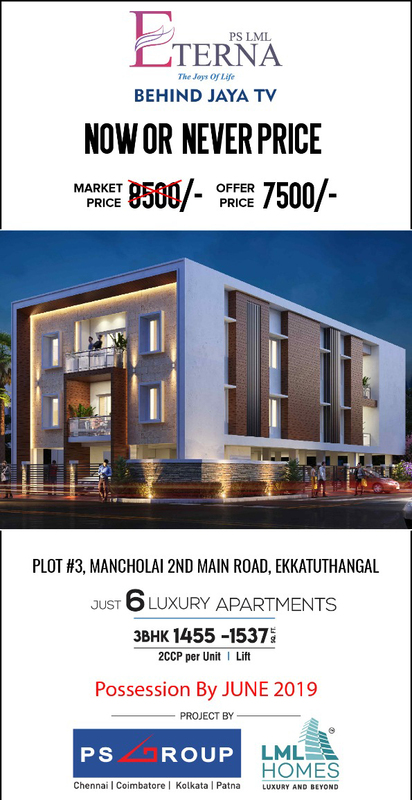 Sumanth and Co offers 3 bhk residential apartment available for sale in Thiruvanmiyur is designed to ensure beautiful interior. 2 bhk with 2 bath toilet attached of 740 sq ft near Jayanthi theater signal ,heart of thiruvanmiyur.price is Negotiable.24hrs electricity and corporation water is available. Good vaastu. Good air ventilation. Near sea shore(100 mtrs). best place to live. 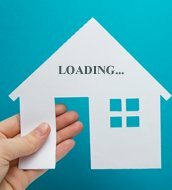 Sri Lakshmi Ram Constructions offers a 2 BHK Residential Apartment in Perungudi developed with excellent infrastructure as per the customer requirements. Ramaniyam Real Estate PVT LTD offers 2 BHK Residential Apartment at Perungudi developed as well planned and spacious living rooms. LML Homes offers 3 BHK Residential Apartment in Perungudi comprised with all amenities and peaceful surroundings.